This past couple weeks have been a bit of a blur. Hectic and busy, so much going on, but soon, very soon this will change. Work-wise I have been training another member of staff who has stepped into the breach to save us when we were in a bit of a bind. There was a lot to learn in a short space of time, and she did really excellently. Excellence and hard work and dedication should be rewarded. 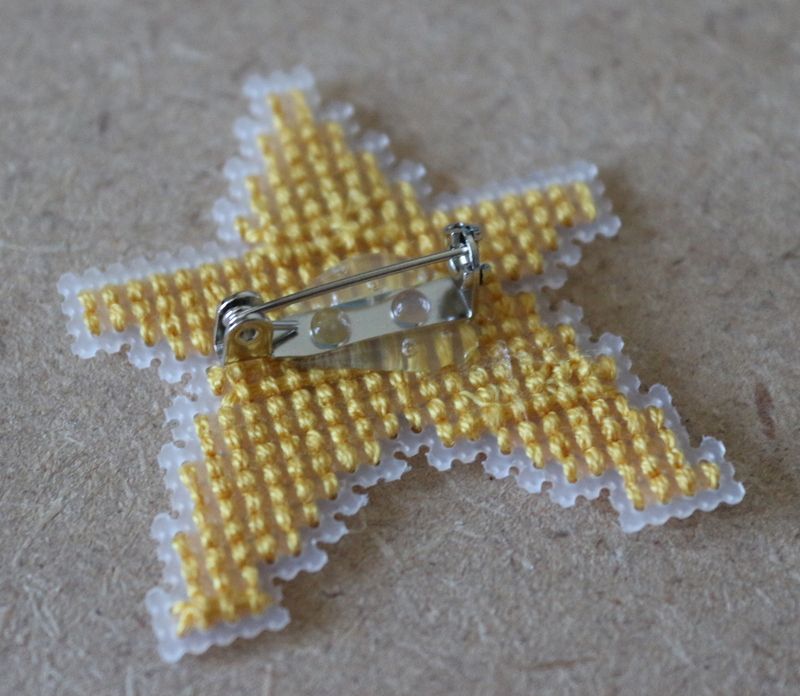 I decided to make her a gold star! 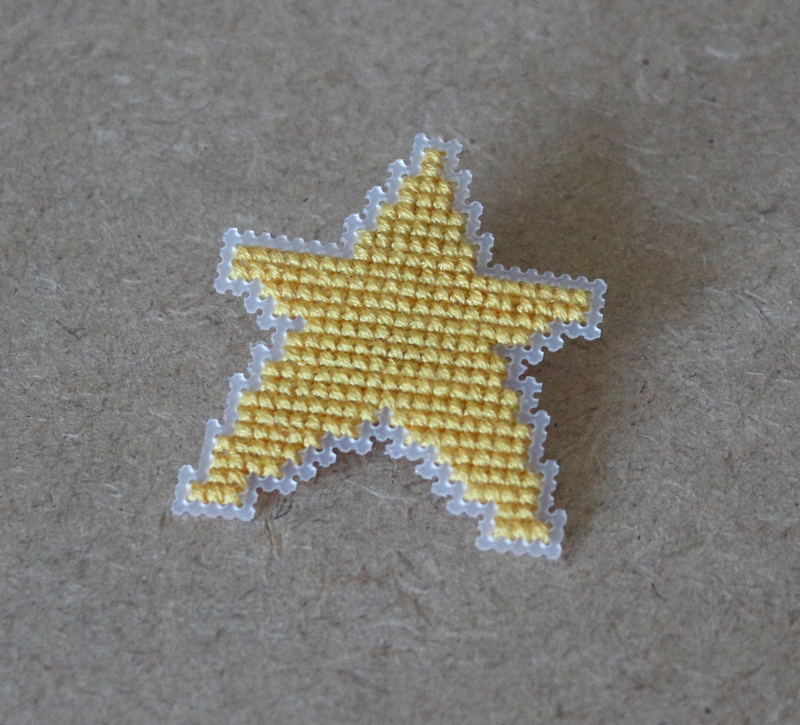 Apparently it looks like a star out of a video game, which is partly because I miscounted when cutting a piece of plastic canvas to stitch it onto, and so had to modify the star so that the top left and top right points were slightly less wide. I glued a badge pin on to the reverse with my glue gun. If you want to make one, I include the chart below. 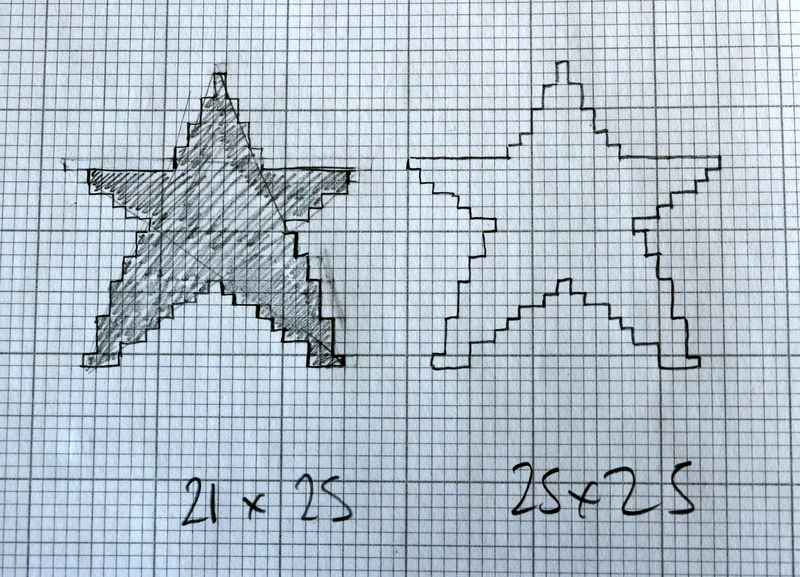 The one on the left is for *ahem* people that like a slightly misshapen star…… and the one on the right I how it was originally going to look! Ha! It took me about an hour maybe all in, so pretty simple and quick to do!